Simply fill in a few brief details on the form below to compare prices from drainage specialists to investigate and unblock your drains. It just takes a few seconds, with estimates provided by Drainage Specialists who cover your local area. You can then contact them directly and to compare prices and book a rapid response appointment. This is a FREE service and there is no ‘middle man’. If you have difficulty filling in the form or need help, please call us on 0800 0147 453. 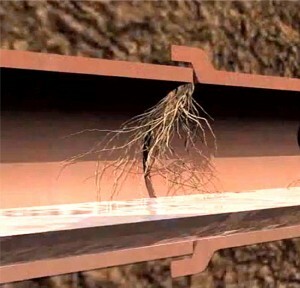 There are a number of reasons why underground drains can become blocked. Probably the most common cause is accumulated cooking fat, but tree routes can seek out very small cracks in underground pipework in the search for moisture, ultimately damaging and blocking the pipe. Pipes can sometimes crack because of loadings from vehicles or suffer damage from fence posts etc, with unseen leakage eventually causing damage to foundations. In many cases simply ‘rodding’ the pipe with special tools can be sufficient to clear obstructions, or flushing through with high power water jets. But to check the pipe’s condition it’s advisable to have a CCTV survey. Prices quotes assume there is reasonable access access to the drains, usually via inspection chamber/manhole covers. Should excavation be required to gain access, each specialist will usually have an additional price for this (at an hourly rate). For septic tanks and cesspools, inspection sometimes isn’t straightforward, so and again it is important to discuss the likely costs before proceeding. The National Association of Drainage Contractors (NADC) operate an accreditation service (www.nadc.org.uk) but there are many contractors from other disciplines who provide a good level of service at reasonable prices.